I like to do “boy”-ish Valentine’s for G to give out. And nothing says “boy” like dinosaurs! 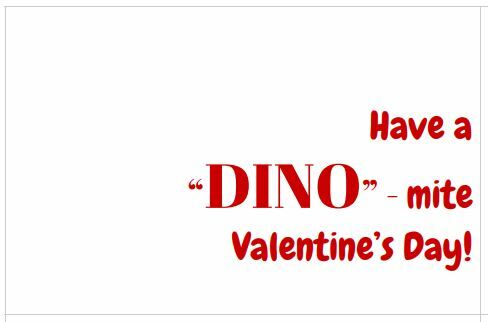 We did dinosaur Valentine’s one year and I just came across this deal at Amazon that reminded me of them. You can get Assorted Dinosaur Skeleton Toy Figures, Made of Plastic, (1 Pack of 12) for just $4.99 with FREE shipping! 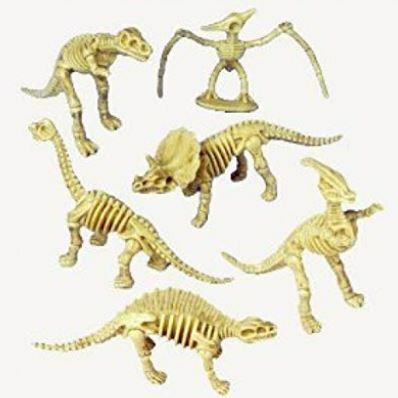 OR Assorted Dinosaur Skeleton Toy Figures, Made of Plastic, (2 Packs of 12) for $7.10 also with FREE shipping! 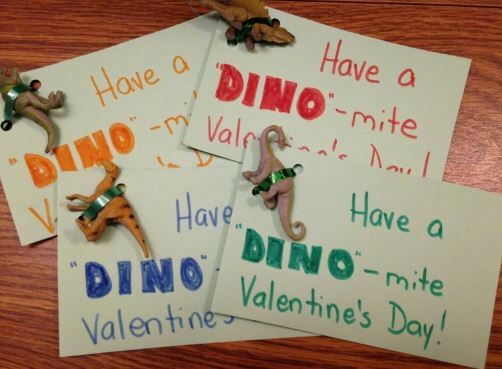 You can print this DINO-mite Valentine’s Card/Tags PRINTABLE HERE on to card stock and attach a dinosaur to it! 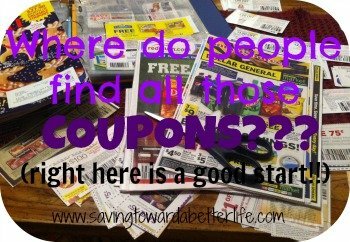 Or you can print on regular paper and glue it to card stock. (Option 2 might work better because you can make the card stock bigger than the printable, increasing the size of the card, which makes more room for the dinosaurs. I tied mine in the back because I didn’t like bows on top of the dinosaurs. 72 Piece Mini Dinosaur Toy Set – $9.48 plus free shipping! Don’t forget, Amazon’s free shipping for everyone ends on January 31st. Order early to save!